Created in Chicago, Recycled by Robin candles are handmade using all natural, non toxic soy wax. Not only will these candles freshen up your home, but they will also help reduce your carbon footprint on the environment since they are made from 100% recycled containers. Whether you are interested in a candle made from your favorite adult beverage or a unique Chicago themed candle Recycled by Robin is sure to meet your candle needs. 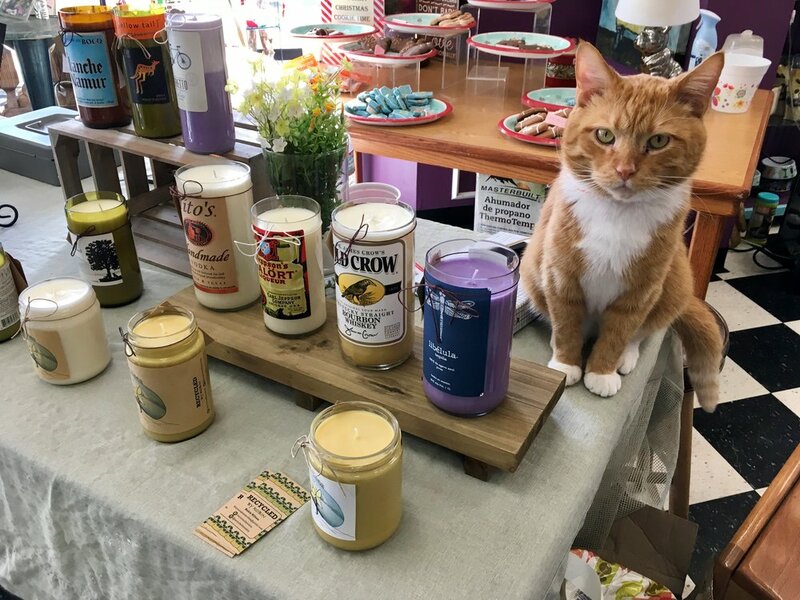 Pet themed candles and more are available for purchase at 3124 W. Irving Park, Chicago, IL. All proceeds go to support the animals in the shelter. Learn more about Famous Fido Animal Rescue by clicking the link below.